There is no B on level 11 on Lion ? I KNOW “Drink” is one word and two other words begin with “L” -8 letters and “R” – 5 letters. 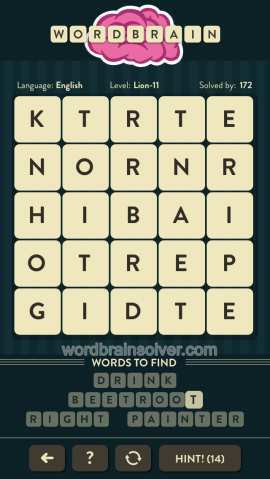 4th word is 7 letters. Please help!